1. The "School Day of Non-violence and Peace" (DENIP), founded in 1964 and also known as World or International Day of Non-violence and Peace, is a pioneering, non-state, non-governmental, non-official, independent, free and voluntary initiative of Non-violent and Pacifying Education, which is now practised in schools all over the world and in which centres of education, teachers and students of all levels and from all countries are invited to take part. 2. It advocates a permanent education in and for harmony, tolerance, solidarity, respect for human rights, non-violence and peace. 3. It is observed on January 30 or thereabouts every year, on the anniversary of the death of Mahatma Gandhi. In countries with a Southern Hemisphere school calendar, it can be observed on March 30 or thereabouts. 4. Its basic message is: "Universal Love, Non-violence and Peace. Universal Love is better than egoism, Non-violence is better than violence, amd Peace is better than war". 5. The method of teaching this activity of education in values should be one of experiences and it can be freely applied in each centre of education according to its own teaching style. 6. Friends of DENIP are those persons who, by accepting the spiritual, individual and social supremacy of universal love, non-violence, tolerance, solidarity, respect for human rights and peace above their opposites, advocate the diffusion of the principles which inspired the day. English translation by the "Majorca Daily Bulletin" (Majorca). The "School Day of Non-violence and Peace" is held on January 30 every year, on the anniversary of the martyrdom in 1948 of Mahatma Gandhi, the great apostle of non-violence. It will be celebrated, as always, in Majorca. The intiative for this "School Day of Non-violence and Peace" originated in Spain. In Majorca, it was Llorenç Vidal in 1964 who founded the School Day. He now lives in Cádiz. He was influenced by Lanza del Vasto, a direct disciple of Gandhi. Del Vasto visited Majorca about 15 years ago, and his book "Le Retour aux Origines" ("Return to the Sources"), had an inmediate influence. The basic message of the "School Day of Non-violence and Peace" states: "Universal Love, Non-violence and Peace. Universal Love is better than egoism. Non-violence is better than violence. Peace is better than war". Non-violence is the attitude of renouncing killing and inflicting pain on all breings in thought, word and action. The "School Day of Non-violence and Peace" is a non-governmental, international and pioneering initiative of Pacificatory Education in which educational centres of all standards and of all the countries are invited to participate. It is a practical activity which has neither official programming nor structural lines of action, because the message is one which maintains a permanent nucleus of basic aspects, and permits the free application of each educational centre according to its particular manner. Professor Eulogio Díaz del Corral has written: "The 'School Day of Non-violence and Peace' was founded in Spain in 1964, when neither in Spain nor abroad did a similar initiative exist. It was maintained through hell and high water in very difficult circumstances, and it is considered the most important pioneering experience of Pacificatory Education of our time, as well as a dynamic nocleus of its promotion at a national and international level". The "School Day of Non-violence and Peace" is a seed which is planted and cultivated in the hearts of the students. It is a bright, new and positive way of looking at the word and preparing for the future. "The life of the people and, perhaps, the progress or the extinction of our civization depends on peace". "Teach your children in brotherhood and in peace and keep them away from the tenebrous paths of hate and violence". "The Truth is One, but its forms are infinite and its names ara innumerable. Look for your inner Light and follow it to the end, because in this inner Light you will find your personal form of the Only, Infinite and Eternal Truth". As a consequence of the thought and actions of some great educators of modern times, Mahatma Gandhi, Rabindranath Tagore, Maria Montessori, Paulus Geheeb, Pierre Bovet, Martin Luther King, John XXIII, etc., a new course in the pluralist view of world pedagogy has been emerging: Non-violent and Pacifying Education. It is not -as some could think due to the presently dominating methodology- from a purely didactic direction, but rather it rises with some aspirations and a projection which are much greater, since that -as a consequence of its historic period in which it has been conceived- the Non-violence and Peace Pedagogy presents itself to us "like an ideal inspiration that aspires to shape all of humanity's educational duties and that, in its theoretical aspect, is integrated into General Pedagogy as a fundamental chapter of the same and in close relationship and interdependence with religious, moral and social education" (*). One of the main practical exponents of this educational tendency is "School Day of Non-violence and Peace" (DENIP), founded in 1964 as a pioneer in the non-violent and pacifying educational iniciative. Although the "School Day of Non-violence and Peace" is celebrated on a especific date (January 30th or around that date), its message must endure every day. It must shape all of our education and must guide all of our lives through our thoughts, our desires, our words and our actions, because the message of the "School Day of Non-violence and Peace", freely assumed according to the personal style of life of each person, can be a means for freeing man from the selfish slavery (environmental, corporal and mental) and a path for one's progressive self-realization in an outlook of universal brotherhood. For this reason, the message of the "School Day of Non-violence and Peace" is a simple one that must reach all educational centers throughout the world. The Rumanian writer Eugen Relgis, in his book "Páginas de mi calendario" ("Pages of my calendar") considers the "School Day of Non-violence and Peace" as "a glimmering hopeful freeing light in a cloudy skai". The universal Italian Lanza del Vasto, a follower of Gandhi, said in an interview: "So be it in all your schools. Establish a day dedicated to non-violence". Dr. Franz Rauhut, Professor of Romanic Philology in the University of Würzburg (Germany), in an article published in the magazine "Pacifistische Rundschau" affirms that the "School Day of Non-violence and Peace" must be made a custom in all schools throughout the world". 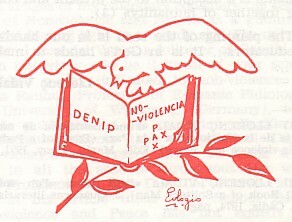 And a Professor Eulogio Díaz del Corral (Mallorca), in his article titled "El Día Escolar de la No-violencia y la Paz no ha terminado" ("The School Day of Non-violence and Peace has not ended"), published in "Ponent", adds that we have to try to have its message "like an objective tendency during the entire school year". 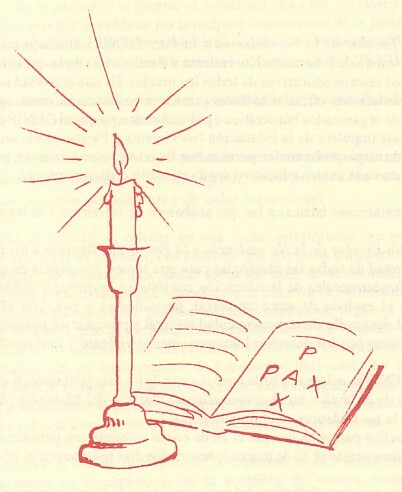 (From the brochure"The 'School Day of Non-violence and Peace' as a practical actvity of Pacifying Education", DENIP -Quaderns literaris "Ponent", Palma de Mallorca, 1978). Llorenç Vidal: "Petit llibre d'un solitari" / "Pequeño libro de un solitario" ("Small Book of a Solitary Man") and "Fundamentación de una Pedagogía de la No-violencia y la Paz" ("Bassis of a Pedagogy of Non-violence and Peace"). The School Day of Non-violence and Peace (Dia Escolar de la No-violencia y la Paz, or DENIP), which is observed on January 30, the anniversary of Mahatma Gandhi's martyrdom (in the countries following the southern hemisphere's calendars, it is observed on or about March 30), was founded in 1964. It is one of the most important experiences of our times in non-violent and pacifying education and a core event that has inspired and served as origin to the majority of today's initiatives in education in and for non-violence and peace. 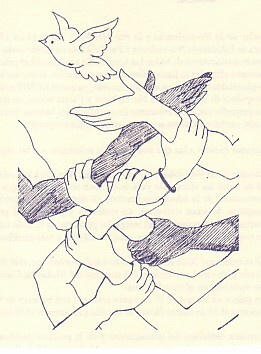 The basic theories behind DENIP come from the philosophy and practice of non-violence (which is understood as forbearance to kill and hurt other living beings by thought, word and action, as respect for life and as identification with all living things), in the idea of positive peace and comprehensive non-violent pacifism, in the concept of universal love and in an original conception of pedagogy and education in and for non-violence and peace, which is implemented through three basic objectives (awareness-raising, exercising and making the pupil feel his or her responsibility) and a diversified sheaf of teaching procedures that can be divided into seven orders. Dr. Franz Rauhut, professor at the University of Würzburg, wrote, "DENIP should be made a custom in all schools throughout the world". The article is followed by an appendix, Basic Orientations for the School Day of Non-violence and Peace, which is conceived as the germ, starting point and point of support for non-violent, pacifying education of a universal, independent, open, deep and ongoing nature. Today, God, You called at my door. I opened. Is it You? I doubted for a moment. thirsty for water and love. with breakfast and vitamins always in easy reach. I oppened. Is it You?